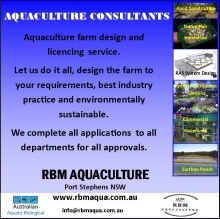 RBM Aquaculture is building a new silver perch hatchery at Port Stephens, NSW. 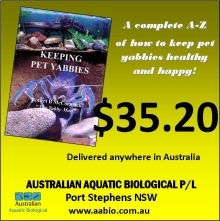 Application to Port Stephens Council went in at the end of June. We have gone through the development application process scores of times before so this was a no-brainer for us. Port Stephens Council is a very professional council and the application went through smoothly with Development Consent being received in late August 2017. 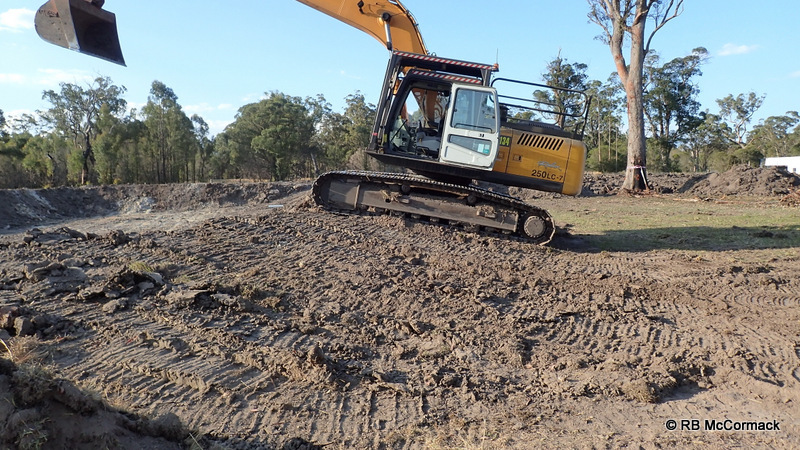 Typically we would use a bulldozer to construct the ponds but the proposed construction site was very wet with soft clay soils and bogging a bulldozer is a serious problem. 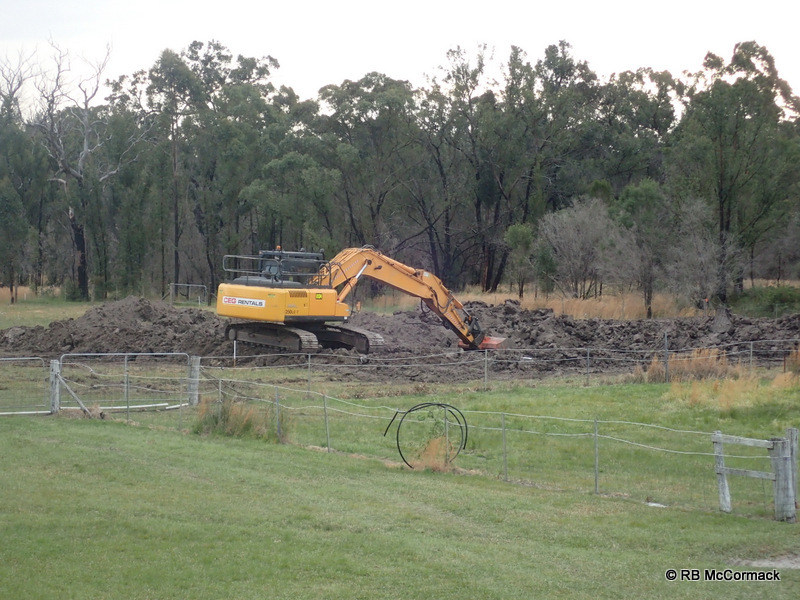 The answer was to dry hire an excavator and dig the ponds ourselves. 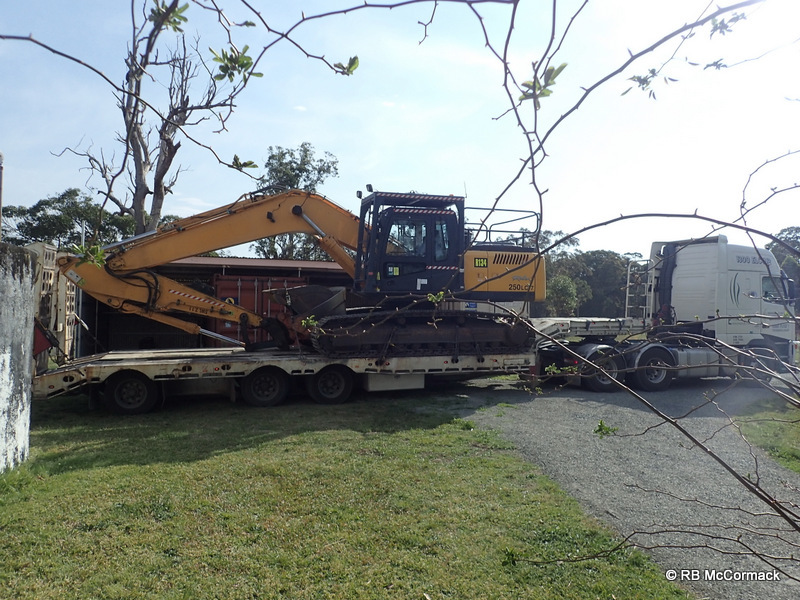 At the end of September the machine arrived, a 25 tonne Hyundai. 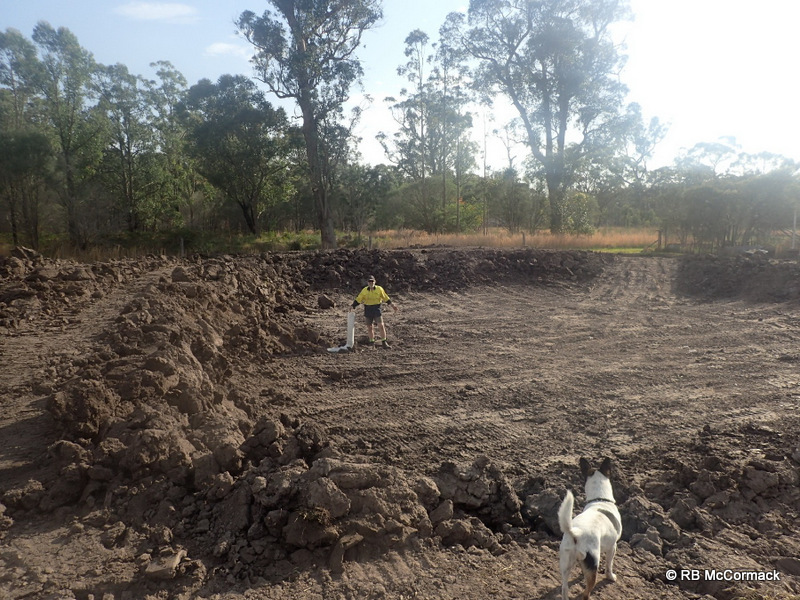 The first thing to do is to mark out the site so you know exactly where the ponds and all walls are going as once you start digging things can get very messy and uncertain. The next thing to do is start digging the ponds. Firstly you need to remove the grass and topsoil. 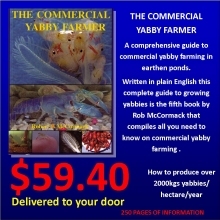 This needs to be placed at the back of the pond walls or stockpiled ready to top dress the walls when finished. 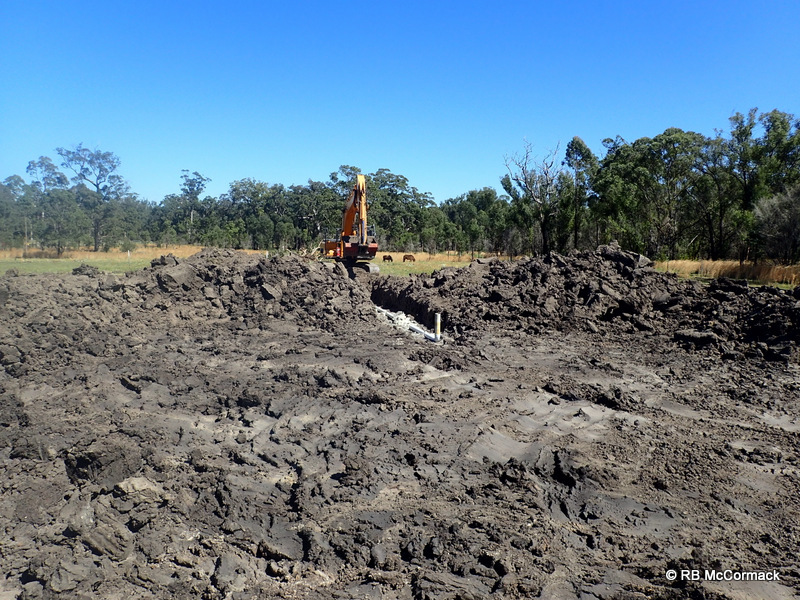 Once the topsoil is gone its time to start excavating ponds. We dig a key first all the way around the pond then build the wall into/on that key. 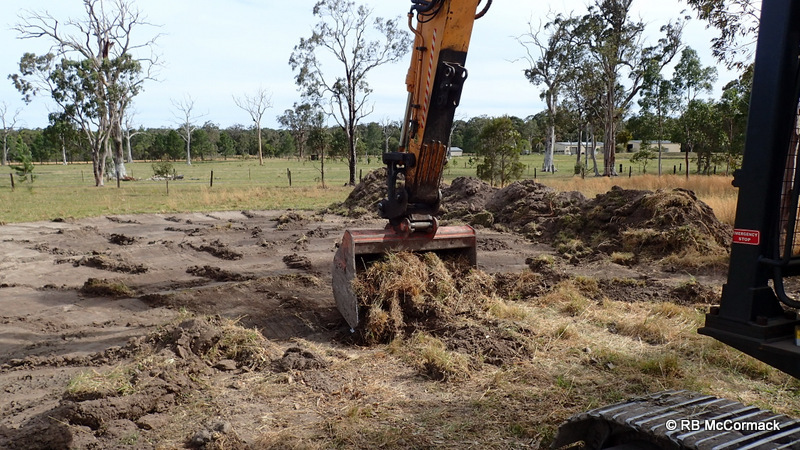 Walls need to be compacted so we drive the machine around the walls as they get dug to help compact the walls. 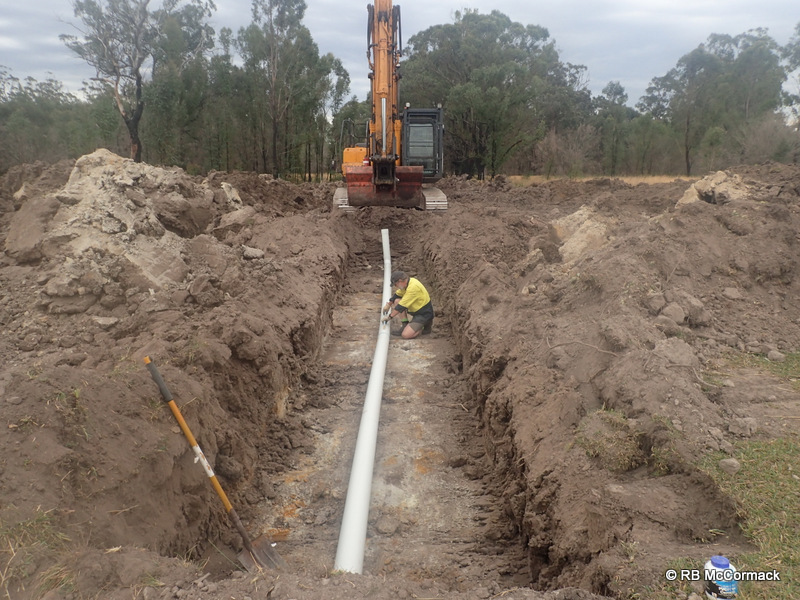 All ponds are gravity drainable so a 150 mm pipe needs to be installed in each pond. It’s essential that you have a slope on the drain pipe to ensure water drains. Once the pipe is in you continue to build the wall over it. 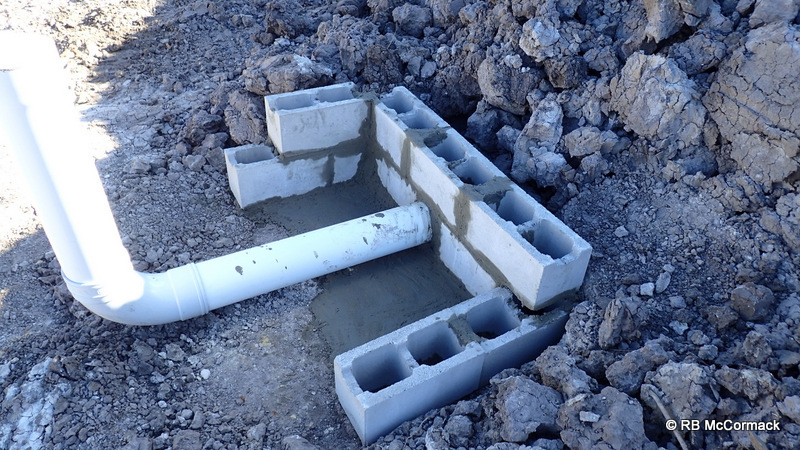 The drain pipe becomes the lowest point in your pond and the pond bottom must be constructed to drain to that point. 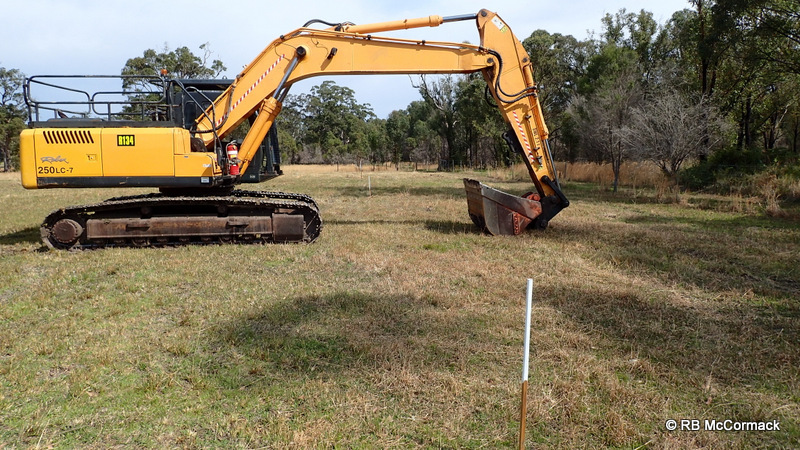 Once the first pond is roughed out you move onto the next. 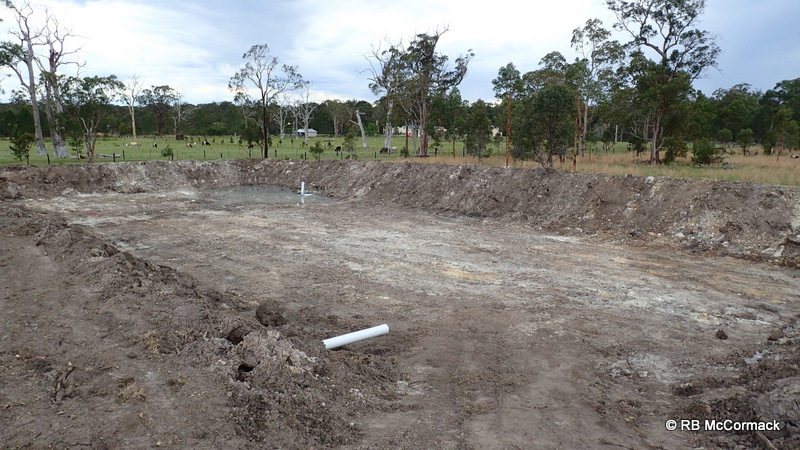 These ponds have shared walls so we didnt tidy up till all ponds are completed. The first pond was the smallest and I recommend with a new machine and getting started to start with a small one and then go from there. Note the ramp into the pond. All ponds have a ramp to allow machinery/vehicles to drive in and out of the pond. 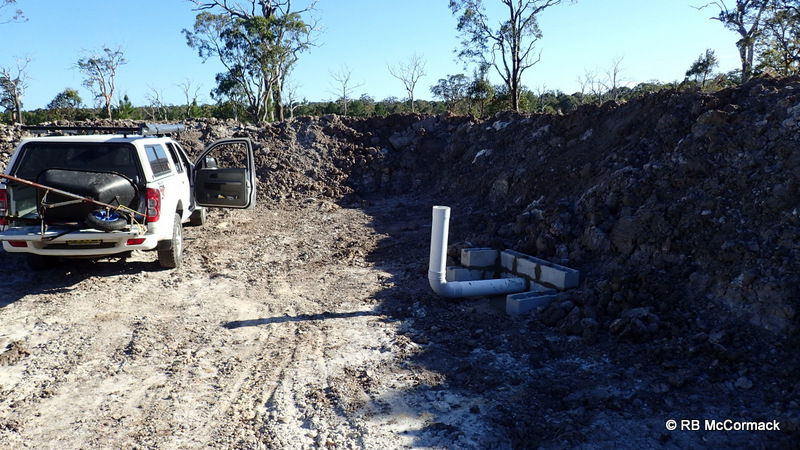 Once the ponds are completed the drains need to be finished. This requires a retaining wall and small sump. The 150 mm pipe will lift as its full of air and wants to float. You need to hold it down with a besser block retaining wall. This wall is important. It retains the bank and stops it slumping over the pipe. 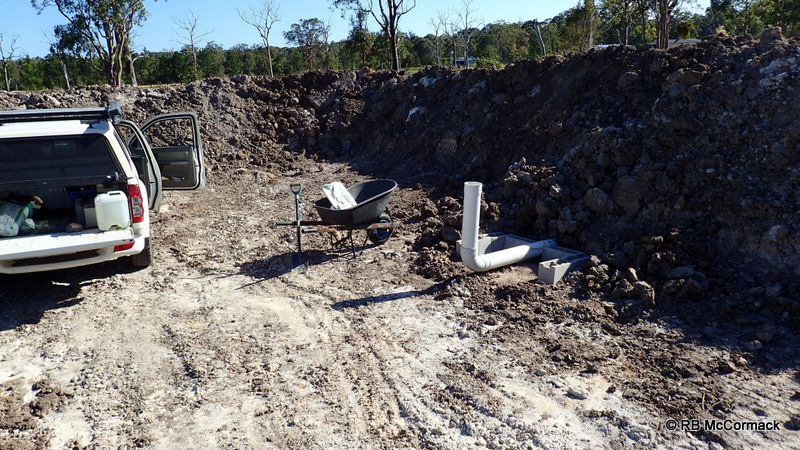 It provides a firm footing for you to stand on when removing the stand pipe for pond drainage. Just a small besser block and concrete retaining wall is required. Each and every pond need one. Its important to get your sump/retaining walls done before you get rain and things turn wet, muddy, and slippery. 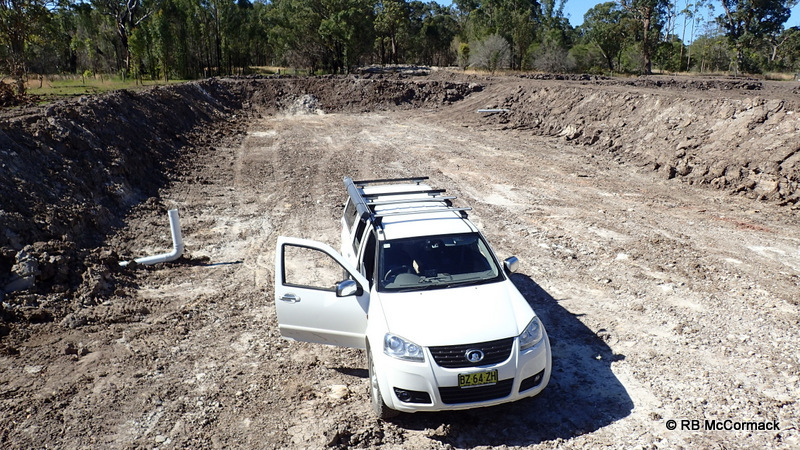 The ponds are completed but that means we now have to get the water supply, and aeration installed. Then netting and build a hatchery. Lots to do-stay tuned for updates. This entry was published on November 17, 2017 / Rob McCormack. 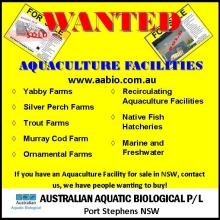 Posted in Consultancy and tagged Aquaculture equipment for sale, Pond Construction, Silver Perch. Bookmark the permalink.